The Government is the name for the group of people who are elected to help run the country. The Government has the power to make decisions that can affect the whole country and all the people who live here. They help make decisions about the European Union too. The Government also joins with the governments of other countries to make decisions that can affect people around the world. The Government is usually made up of politicians called Members of Parliament (MPs). The election to vote for the Government is called the General Election and it takes place every 5 years. 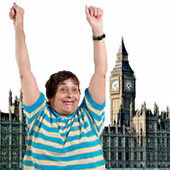 The Government is usually made up of MPs from the political party who gets the most votes and MPs. If there isn’t a party with enough votes to make a government on its own then two parties might join together and make a government between them. This is called a coalition government. The political party that comes second in a General Election is called the official opposition. It is their job to make sure the Government keeps its promises, and says what they would do if they were the Government. The leader of the political party who wins the General Election becomes the Prime Minister. The Prime Minister is the head of the Government. The Prime Minister is also the leader of the country and decides how it should be run. 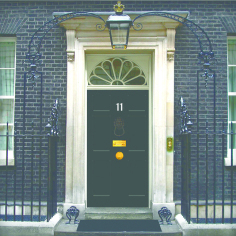 Once the Prime Minister is elected they get to live in the official house of the Prime Minister, which is usually 10 Downing Street, in London. The Prime Minister’s first job is to choose the other people who will help run the Government. These people are called cabinet ministers and they help the Prime Minister make decisions. The Prime Minister and the Government have the job of coming up with ideas and plans about how to run the country. These ideas and plans are called policies. The Government needs to think of lots of policies and so, to make this easier, the Government is split up into different offices, which are called departments. The Prime Minister chooses cabinet ministers to run each of these departments. Together with the Prime Minister they make decisions about how to run the country. Cabinet ministers are responsible for different areas of life. The department responsible for the country’s money is called the Treasury and the cabinet minister who runs the Treasury is called the Chancellor of the Exchequer. The Chancellor gives an important speech each year called the budget. 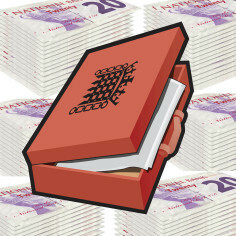 In the budget, the Chancellor explains the different things the Government plans to spend money on. He also tells people how the Government will get the money it is going to spend. This is called taxes. This Chancellor usually lives next door to the Prime Minister at 11 Downing Street. There are lots of other cabinet ministers who run departments like the Department of Health, the Department of Transport, the Foreign Office, and the Home Office. There are lots of other people who are not politicians who work in these Government departments. They are called civil servants. Civil servants are not elected and anyone can apply for a job as a civil servant.